Zentel Tech proposed a review of the air system performance to evaluate the overall system conditions. During the investigation it was determined that there was insufficient return air from the book storage area that limited the units performance. It was also determined that the insufficient return airflow created excessive pressure differential between the supply air and the return air causing the air to by-pass the desiccant wheel causing excessive temperature condition for the desiccant motor and increased supply air temperature. This situation is typical in a lot of mechanical systems. Very simple problems appear complex until the root cause can be discovered and corrected. Zentel Tech has the expertise from our critical environments work to efficiently diagnose and repair the issues that keep your system from optimal performance. We inspect a AC or DC Variable Frequency Drive (VFD) unit for defects by using a complex series of tests and industrial application simulations. 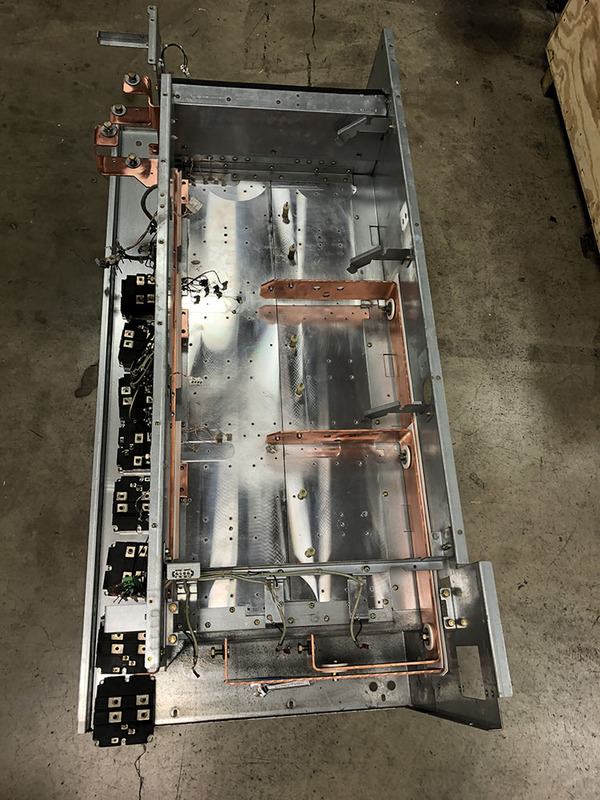 If we find any defects or there are any VFD unit specifications that are out of the manufacturer specified tolerance range, we investigate and repair them. We then retest for function and if everything passes our comprehensive test procedures we then thoroughly clean the drive and get it back in service. 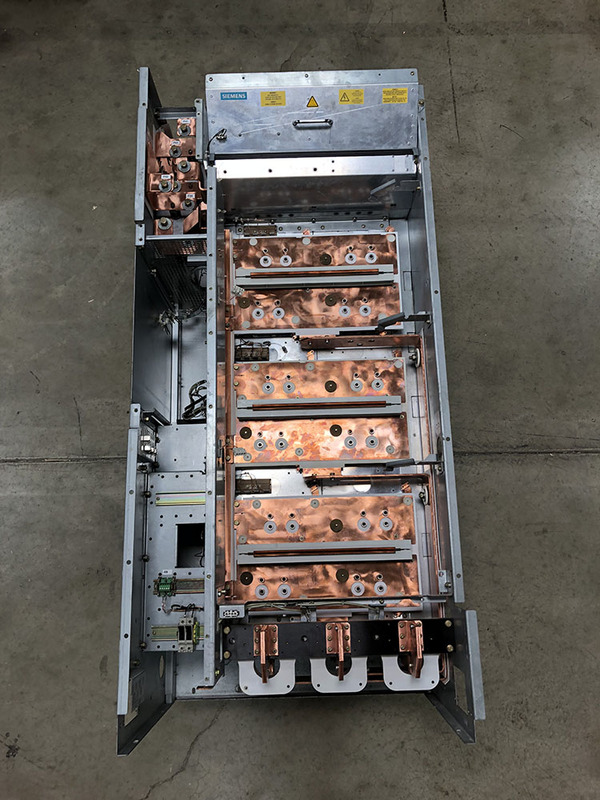 We generally test a Variable Frequency Drive Unit by connecting it to a power matched size motor and dynamically loading the motor to make sure the Drive Unit can handle the current and torque requirements specified by the VFD unit’s nameplate. AC and DC Variable speed motor drives control most operating equipment regardless of industry and location. Drive failures can be costly, especially when repairs by major manufacturers can have long lead times. 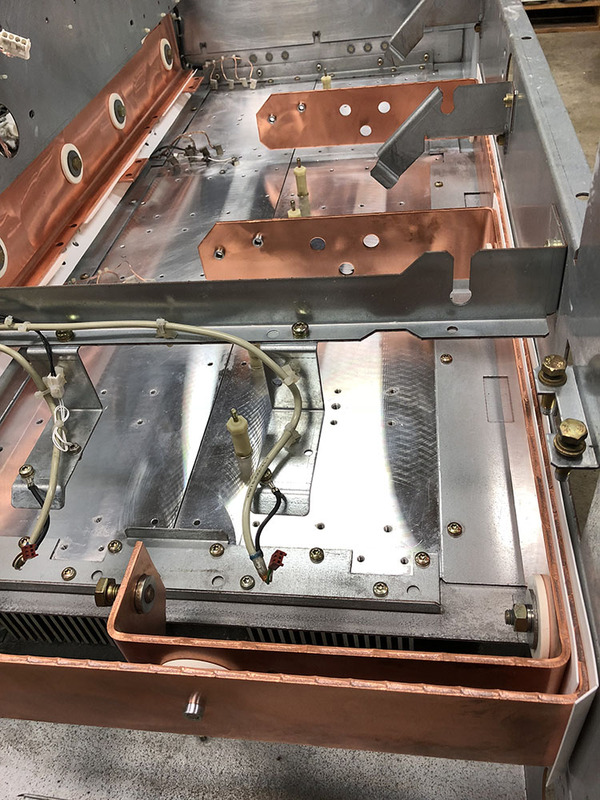 As authorized and qualified service providers, our technicians can respond more quickly with a combination of in-shop component-level repair, and refurbishment services or field service, inspections, and preventative maintenance. VeeArc specializes in the repair of elevator motor systems. We focus on Solid State Starters, Elevator Controllers & Elevator Power Units. We’ll fix your soft start in our shop! VeeArc repairs down to the component level, following manufacturers’ specifications and procedures. The benefits are reduced maintenance costs & potential nuisance issues, increased electrical efficiency, quieter & smoother operation, and the elimination of damage from electrical spikes. Well-designed industrial and manufacturing facilities can operate efficiently for years until reliability becomes an issue. It’s no surprise when primary industrial equipment or tools can continue indefinitely while electrical service, distribution, motors and/or drive equipment no longer operate reliably or within design specifications. VeeArc offers a range of services from parts and repairs to complete turnkey upgrades to return your facilities to optimal, efficient operation. Our technicians travel worldwide to get drives, systems and controllers back to full function. If you don’t need us on-site, we have a variety of in-house return, exchange, express and repair programs to suit your time requirements. We offer Onsite Repair for AC and DC Drive services, Preventative Maintenance, and Power Studies. AC and DC Variable speed motor drives control most operating equipment regardless of industry and location. Drive failures can be costly, especially when repairs by major manufacturers can have long lead times. We inspect an AC or DC Variable Frequency Drive (VFD) unit for defects by using a complex series of tests and industrial application simulations. As authorized and qualified service providers, our technicians will respond and resolve your issue quickly to get your drives, systems and controllers back to full function. Protect your operation by our Preventative Maintenance Service and don’t lose productivity caused by an unexpected failure of your Drives or your complete system. VeeArc offers comprehensive on-site preventative maintenance services for AC / DC variable frequency drives and for complete Systems. VeeArc will visit your site, clean, test and inspect your drives and system for correct functionality. VeeArc offers standard and specialized power system studies plus pre- and post- installation power quality audits to precisely target and help correct power issues. These studies will help optimize your power systems performance and improve safety. Studies are performed by professional engineers and in accordance with applicable industry standards from the Institute of Electrical and Electronics Engineers (IEEE), American National Standards Institute (ANSI), National Fire Protection Association (NFPA), and the National Electrical Code (NEC). VeeArc specializes in low and medium voltage power systems. We carry a huge inventory of original spare parts that can be purchased by our customers. VeeArc carries parts for Siemens and ABB, along with the parts for Furnas (a Siemens Brand), Robicon (a Siemens company), Relcon, Allen-Bradley, Eurotherm, GE, Reflex, Reliance, and Saftronics. 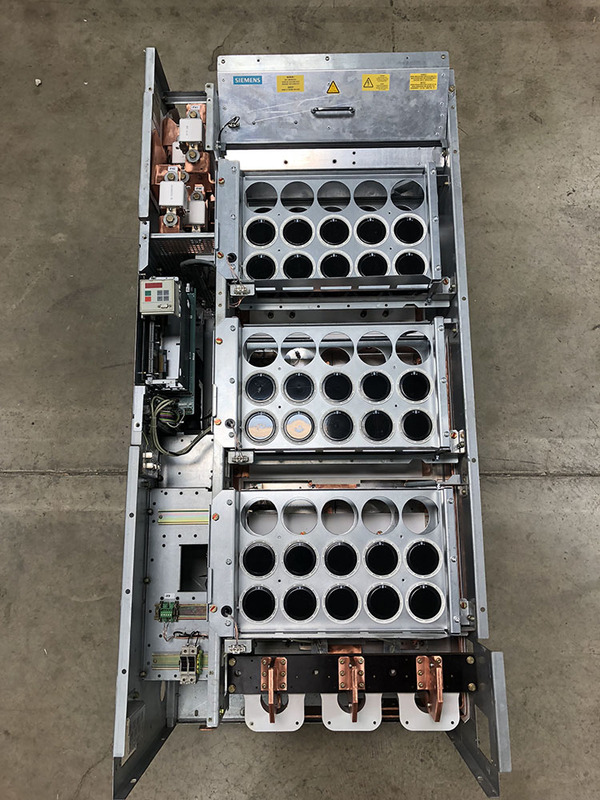 An IGBT’s Heatsink Mounting plate (It’s Backside) is convexly parabolic in shape. This means that to make flat contact when mounted it will require even pressure from the outer edges of the device. Torqueing down all six mounting screws is essential to a flat mount and proper thermal linkage of the device to the Drive chassis heatsink. Heat transfer compound must also be applied to the IGBT to further improve thermal linkage. 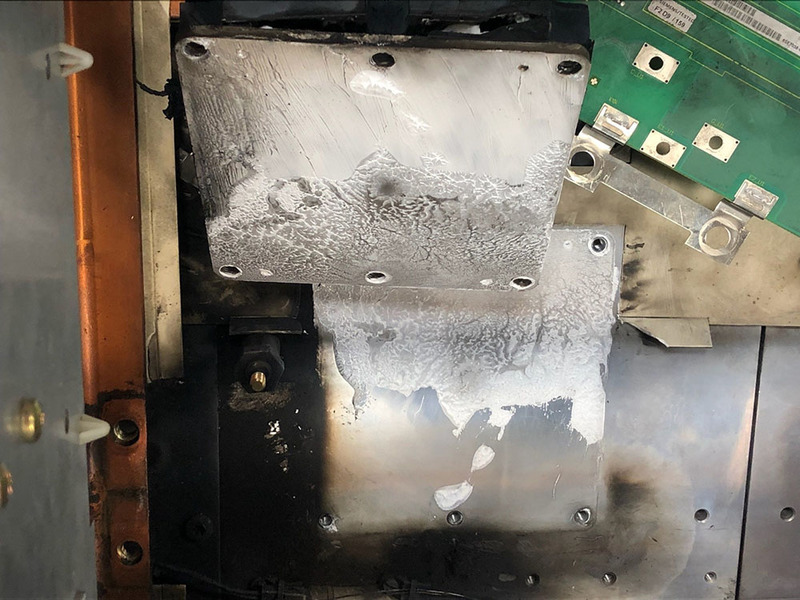 The major arc flash event was due to the IGBT over-heating, due to improper thermal linkage, and venting. 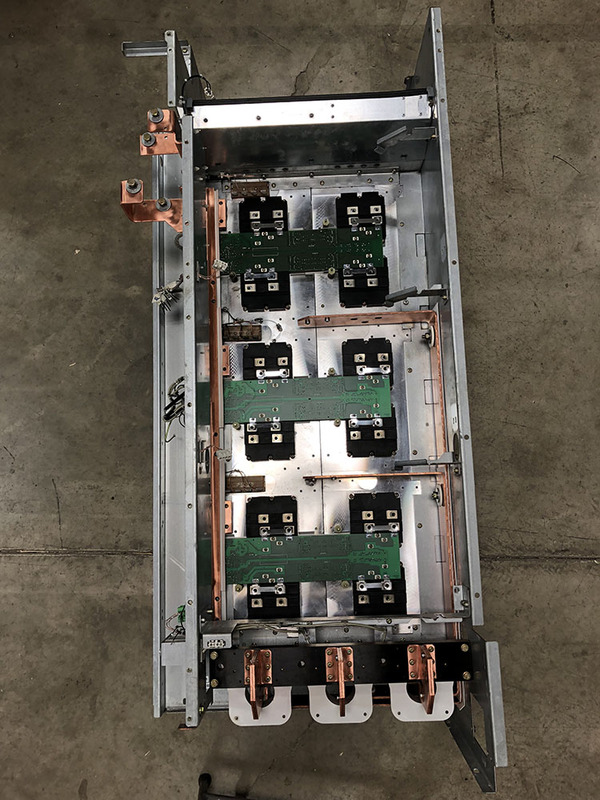 The IGBT momentarily shorts when over-heated which creates a direct path for the Positive and Negative Bus Voltage causing all the energy stored in the Bus Capacitor banks to discharge instantaneously in an explosive Arc-Flash event. This event caused several other component failures within the drive due to the massive electrical surge, the heat generated by the blast and/or the blast concussion. The unit was from a Tissue manufacturer and was covered in dust and Lint. The drive had to be totally disassembled and cleaned before any replacement components could be installed. 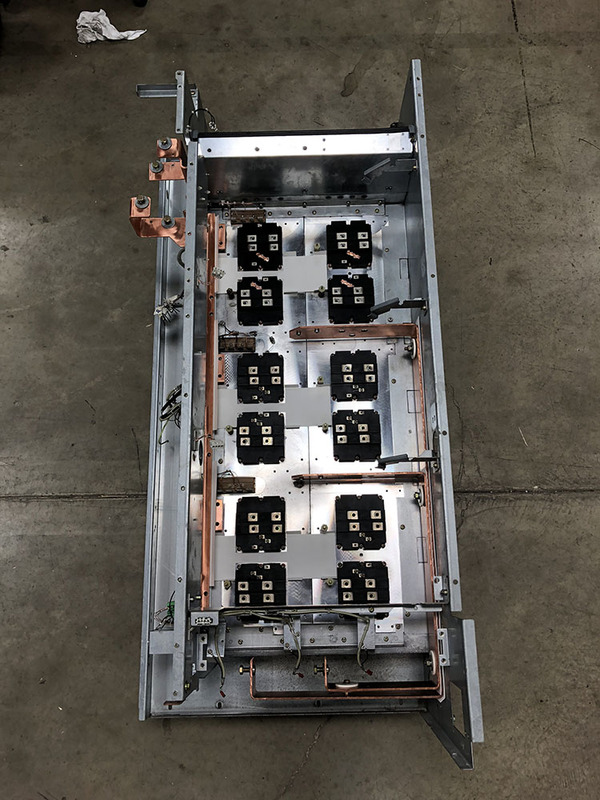 We pressure washed the Heatsink and Chassis, washed all circuit boards, disassembled and cleaned sub-assemblies, polished off any corrosion on the Copper Buswork and remade all damaged Voltage Isolation Insulators. 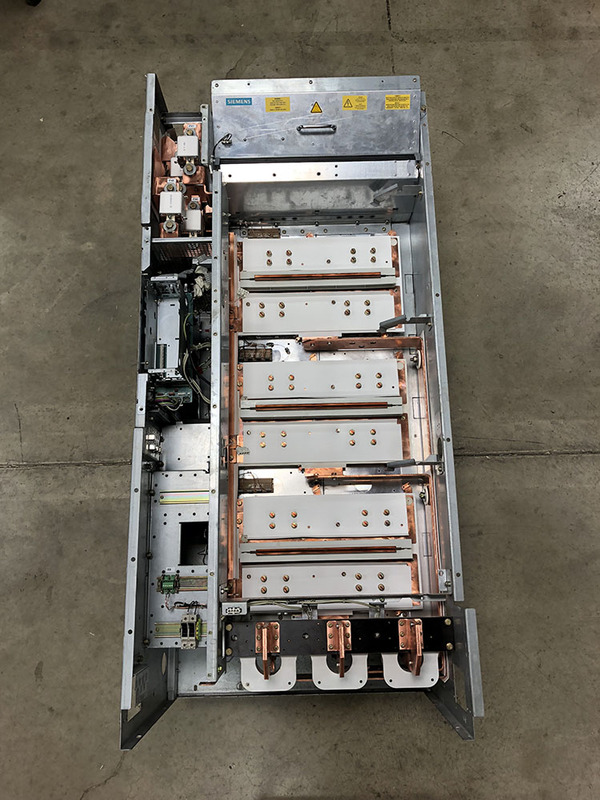 Once all this work was performed the drive was fully reassembled and tested in a controlled environment at our testing lab. This Drive is now back at the customer facility happily spinning out copious amounts of tissues so our homes can be effectively TP’d this Halloween! Quad Plus LLC has completed their installation portion of the 45 million dollar Electrical Distribution revamp of The City of Chicago’s South Water Purification Plant. This first phase of the project was to install 9 new PCP’s (Pump Control Panels), for 7 synchronous and 2 induction motors. These panels completely changed how the motors were started from the existing systems installed in the late 1940’s. The installation team consisted of MG Electric (general contractor), Quad Plus (provided 7 Synchronous Motor Field Applications Systems), Siemens Industry, Inc. Switchgear Division (supplied new Switchgear and motor starters), and Allen ICS (Supplied SCADA equipment and programming). One of the challenges was that the Plant could not be shut down to accomplish this retrofit. We were given one pump system every 6 weeks to complete the transformation. The motors ranged from 350hp to 1000hp at 2300vac. During the design phase of the project Quad Plus and the supplier of the synchronous equipment Kinetics (Trenton, NJ) were able to engineer a package that had the range in field currents so that one system could do all 7 motors, which only required a small amount of tuning at start up. The customer was very happy with this, since the spare parts were all interchangeable. The success of this start up gained Quad Plus the ability to quote and win the next project at The City of Chicago’s Jardine Water Purification Plant. We will be supplying a total of 8 new Synchronous Motor Field Application Systems following the same design criteria as done on the South Water Plant project.